Luxury leather vest “Navy Anna” has a classic biker jacket cut and is fully handcrafted out of 100% super soft matte navy blue lambskin. 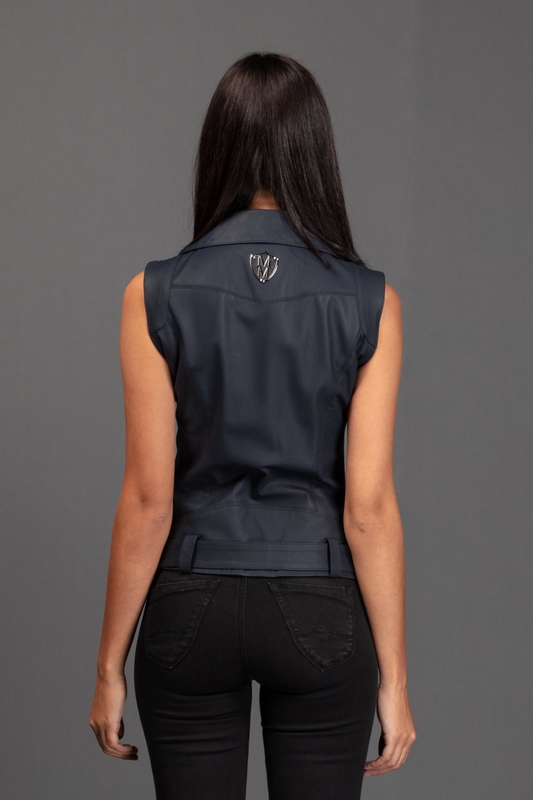 This unique vest with its outstanding matte navy blue leather finish completes your luxury summer outfit perfectly. Max Macchina Lampo zippers in silver give the vest a unique look: Matte leather and shining details form the perfect contrast – while the belt matches and highlights the cut. Blue and silver always perfectly matches your luxury summer outfit. 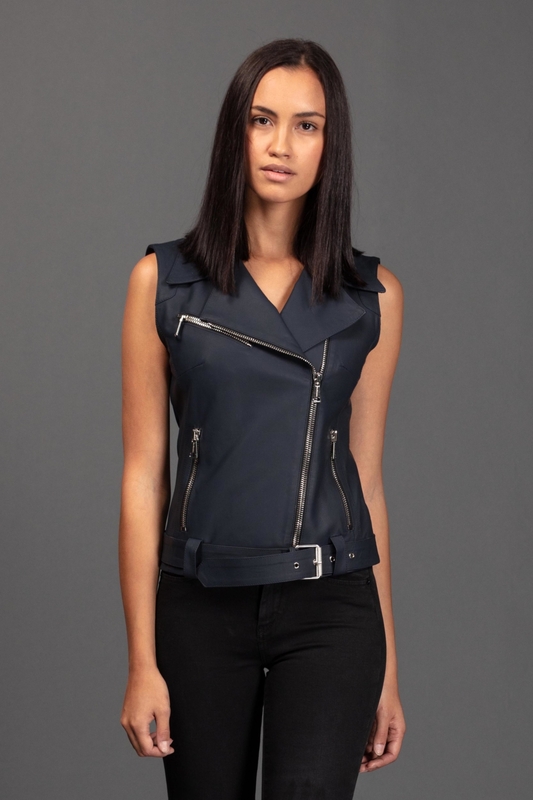 Combine it to your summer dress or legere to your denim and top – with your Max Macchina leather vest always the right choice. 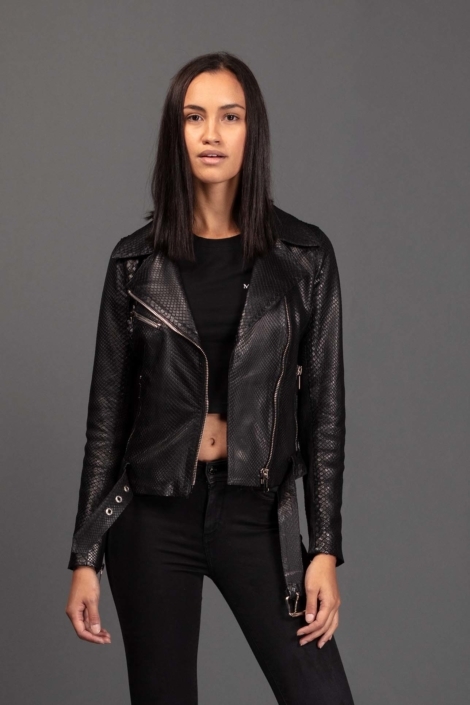 After all the asymmetric cut and zippers from the classic biker jackets of the early 1930’s give this vest a timeless look. Max Macchina’s luxury leather apparel is fully handcrafted in France – Paris.